Designed for Chevy 396-502 street applications with high-performance rectangular port heads, the RPM Air-Gap incorporates the race-winning technology that's been used on the Victor Series competition intakes. Includes rear water outlets, two distributor clamp locations, and nitrous bosses. Accepts all late-model alternator and A/C brackets for the street. For square-bore carburetors only. No provision for exhaust-heated chokes and no exhaust crossover. Will not fit under stock hood of Corvette, 1965-67 Chevelle, or 1970-81 Camaro. Port exit dimensions: 1.56" x 2.24"
Carb Pad Height: 5.22" Click here to determine carburetor pad height. 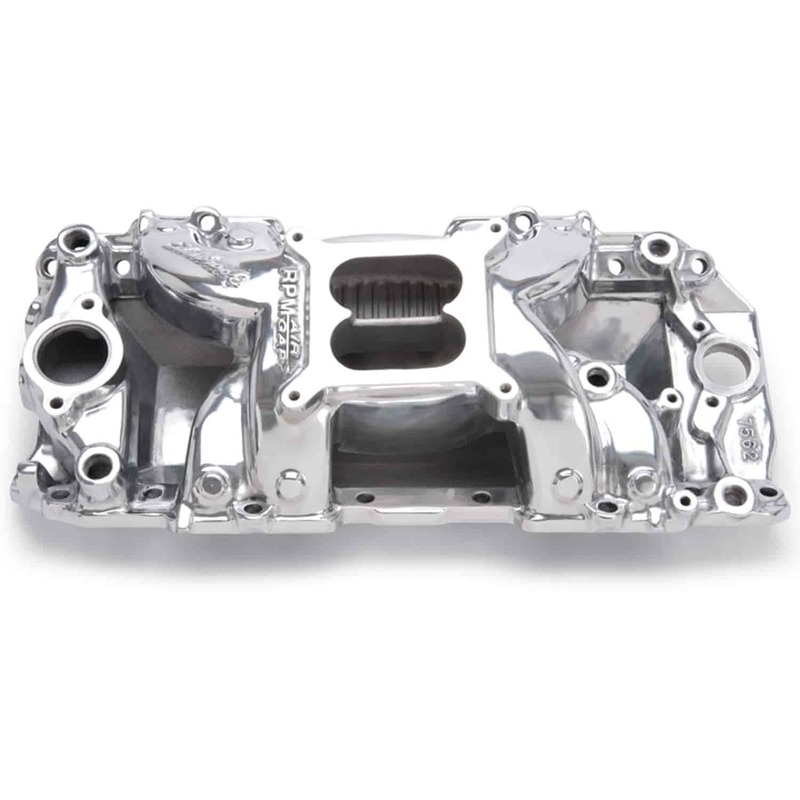 Does Edelbrock 75621 fit your vehicle? ARP 400-2401 - Carb Stud Kit Standard, 5/16 x 1.700" O.A.L. Proform 66339 - Carburetor Stud Kit Length: 1-1/2"